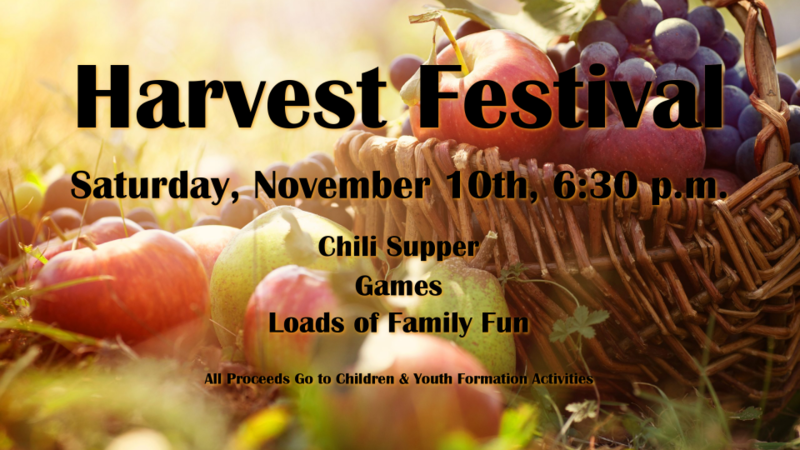 Join us for Chili Supper, Games, and Loads of Family Fun! There will also be hot dogs and cinnamon rolls. All proceeds go to The Children & Youth formation activities.